I would like to know how you can justify blaming dog owners for the decline in bird species at this park? 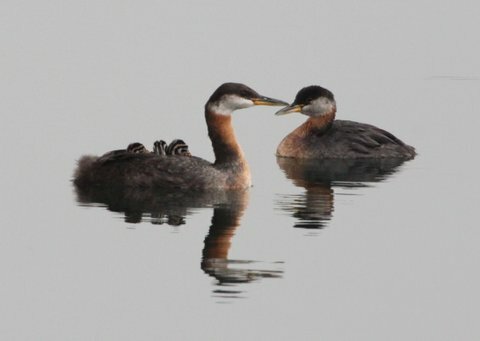 Over the past few years I have witnessed coyotes and mink raiding the nests of waterfowl (Grebes, swans, various diving duck species )...stealing their eggs and hatchlings and chasing the adult birds off their nests. I have also noticed a sharp rise in garbage and litter in the park that directly correlates with the rise in Humber College students who have taken over the parking lots then wander into the park to drink and smoke pot off in the more secluded areas around the harbour that also happen to be the areas where the grebes, diving ducks and swans nest each year. Last year, I regularly witnessed people fishing (without licences) in the sensitive nesting areas around the harbour and on 3 occasions, saw waterfowl squawking and thrashing around trying to free themselves from bring accidentally snagged by fisherman. Also last year, we saw a large spike in the baitfish (smelt & edelweis) population (which is cyclical in nature experiencing abundant cycles every several years). These baitfish are staples for waterfowl, trout and salmon and are important in sustaining these bird and fish species. During this glut in baitfish population, I witnessed a barge-like boat navigating the perimeters of the harbour with several men onboard using large sock shaped nets on poles to scoop huge quantities of baitfish from the harbour, focussing on the east and south shores if the harbour where the waterfowl nest. This activity is illegal and negatively impacts the ecosystem at the park. I immediately called the Ministry of Natural Resources reporting line and reported this activity, encouraging them to dispatch game warden to our park. I wonder if the birders who choose to focus on blaming dogs for the decline in waterfowl species ever consider all the factors noted above and in turn report to the relevant authorities or are they content exercising wilful blindness to these activities that negatively impact the wildlife in the park while blaming dogs and their owners. Maybe you should open your eyes to the serious threats to our park ecosystem and encourage birders to report those threats instead of blaming dogs. I have walked my dogs at this park for 18 years...long before the increased presence of birders..and have seen an increase in species and bird populations during this time...despite the constant presence of dogs and their owners using the park on a daily basis. I have also noticed the increase in garbage, student activity, vandalism coyote activity in the last few years...so maybe...just maybe...you should open your eyes to the real problems disrupting the environment at Colonel Sam Smith!!!! !